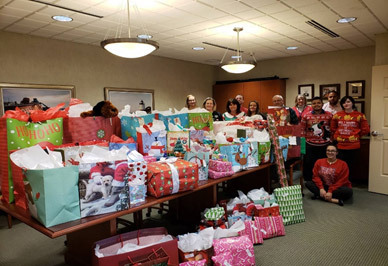 WAVE FEDERAL CREDIT UNION HOLDS 24th ANNUAL GIVING TREE HOLIDAY DRIVE! Warwick, RI – December 18, 2018 — Most members and staff at Warwick’s Wave Federal Credit Union cannot remember a December where the lobbies weren’t bustling with members bringing in gifts and donations. For the 24th consecutive year, Wave held its Giving Tree holiday drive, collecting gifts, gift cards and donations, hoping to make the season just a little brighter for many in-need families and elders in our local community. This year’s effort provided over 180 gifts to local veterans’ families and families and elders adopted by the West Bay Community Action. Wave is a 100% member-owned, community focused credit union with over $110 million in assets and more than 7,000 members. Originally chartered in 1938 as Narragansett Electric Employees’ Credit Union, Wave Federal Credit Union is a full-service financial institution with two offices in Warwick providing the highest level of service and personal attention to all members. Wave serves individuals and businesses in Providence, Warwick, Pawtucket, Cranston, East Greenwich, North Kingstown, South Kingstown, West Greenwich, West Warwick, Westerly, Charlestown and Coventry, Rhode Island. Bank with Wave and take advantage of great, low loan rates, higher savings rates, free checking, electronic banking, mobile check deposit and more! A special thank you for generous donations from our members, the Overseas Lodge in Warwick and the Daylight Lodge in Cranston for helping to make our Giving Tree a succuess! Over $2,000 was raised for holiday food and gifts for 8 local veterans' familes. Wave participated in this great program to help brighten the holidays for service people and their families. Employees and members donated over $1,000 of "Wish List" supplies to be distributed to troops serving away from home. 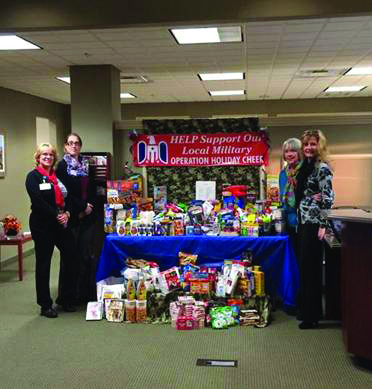 Left to Right: Branch Manager, Marie Morrell; Teller, Andrea DeMoranville; MSR, Lynne Greene; and Director of Retail Services & Marketing, Wanda Grillo display supplies donated by members and employees being sent to troops serving away from home in support of Operation Holiday Cheer. 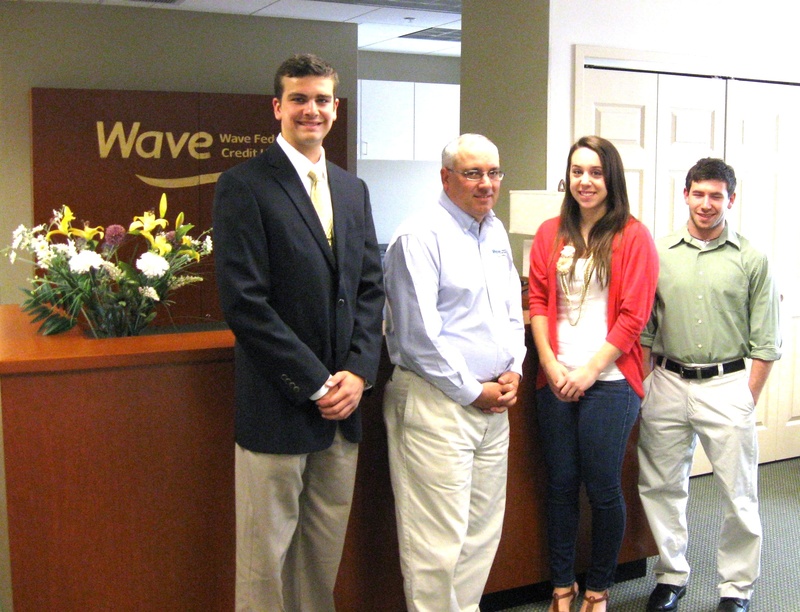 Congratulations Wave FCU 2012 Scholarship Winners! This year Wave awarded scholarships in two categories...our regular scholarship category and a business scholarship category. The business scholarship program recognized two Toll Gate (Warwick, RI) high school seniors, Kayla Lopes and Colin Stamps, pursuing business degrees and who participated as part of Wave's yearlong CU4 Reality Financial Literacy Program and Fair. (Front row, left to right) Paul Archambault, Personal Finance Teacher William Aquilante, Kayla Lopes, Branch Manager Gail Tattersall. (Back row, left to right) Colin Stamps, Personal Finance Teacher Laurie Mockler, Department Chair Kenneth Castellone, Toll Gate Principal Stephen Chrabaszez and Branch Manager Carol A. Felingiere. The regular scholarship program selection process considered financial need, grades, a personal essay plus extracurricular/community activities. 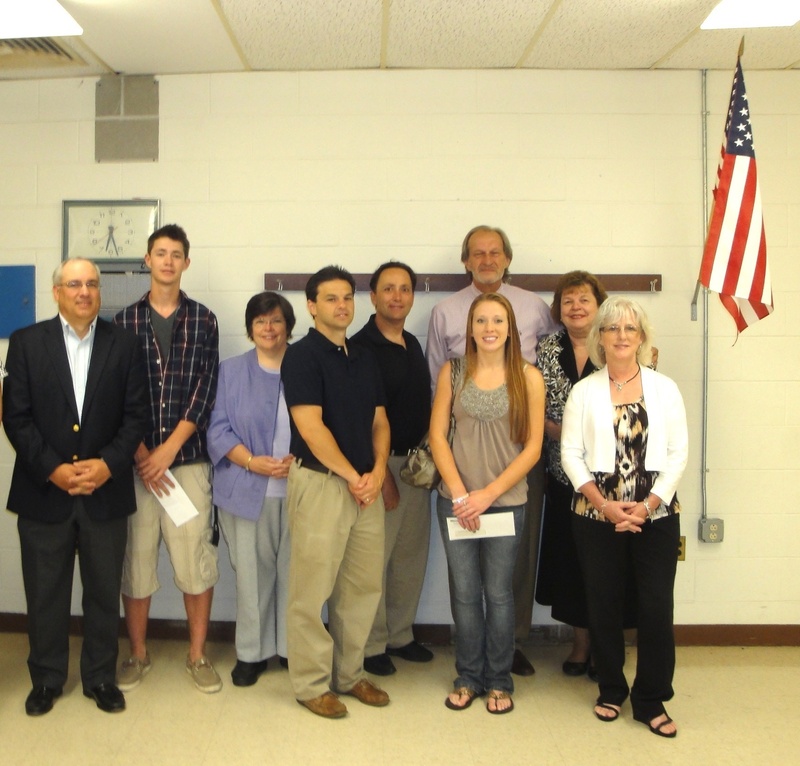 The business scholarships were awarded at a special event held at Toll Gate High School while the regular scholarships were presented at a ceremony held at Wave's headquarters. Shown from left to right: Matthew Hermenau, Paul Archambault, Brooke Amerantes and Jacob Dinerman. Other winners were Matthew Morris and Mariely Jimenez.